Say goodbye to the Four Seasons and hello to the new Logan Hotel. 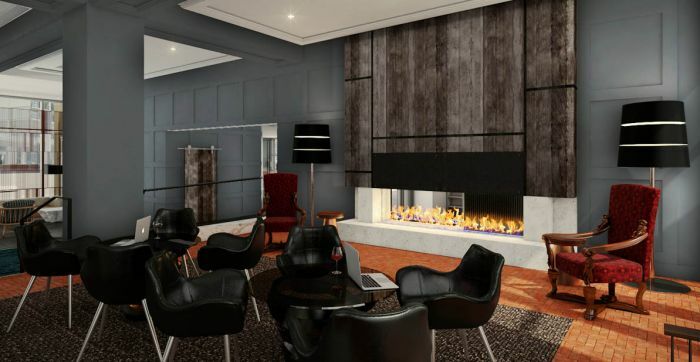 Host Hotels & Resorts and Sage Hospitality have announced that their property, which is currently in the middle of a $28 million renovation, will be opening this November, replacing the Four Seasons at One Logan Square. The Logan will be a part of Curio—a collection by Hilton, and will offer the City of Brotherly Love a luxurious concept hotel complete with top-of-line amenities, fine dining and reconstructed spaces. While the décor is intended to bring a little of Philadelphia's streets inside, that doesn’t mean it skimps on the luxury experience. Come November, guests will find the property outfitted with a spa and fitness center with indoor heated pool, a rooftop terrace with cabanas, and a lobby with a lounge space and bar. For foodies, the hotel will also be home to the new farm-to-table steakhouse Urban Farmer—the third outpost of the award-winning Portland-based restaurant.